Every year, more than 50 million people from around the globe visit New York City. World famous icons like the Statue of Liberty, the Brooklyn Bridge, and the Empire State Building only scratch the surface of what New York can offer. It’s the most populous city in America, and home to countless generations of cultural heritage. Whether you’re a tourist or a native New Yorker, Hornblower cruises are a great way to have fun while taking in the sights. Explore the Big Apple with a guided river tour of the city’s hottest attractions, or indulge in an evening of dinner and dancing on the Hudson. Traveling on a Hornblower cruise lets you see the city in an utterly unique way, and provides more than a couple of chances to snap memorable selfies against the backdrop of New York’s most iconic sights. If you’re seeing New York for the first time, then you’ll want to check out the See NYC Sightseeing Cruise. It’s a one-hour guided tour of New York Harbor, and a great way to get introduced to the city. 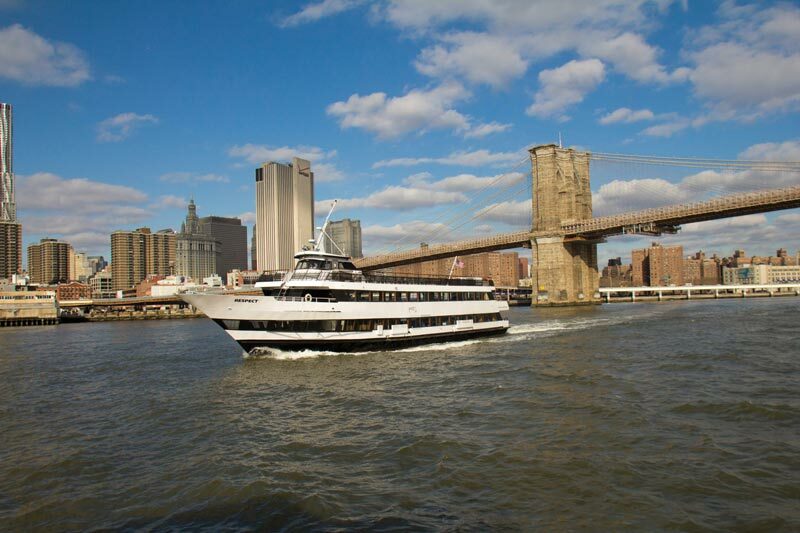 In the heart of NYC, Hornblower cruises are conveniently located near almost everything the city has to offer. After you’re finished cruising, you disembark only a short distance from some of New York’s best attractions, like the Metropolitan Museum of Art, Central Park and The Guggenheim. May through October, the See NYC Sightseeing Cruise takes ten journeys each day. You can catch a ride between 9:30am and 5:00pm. November through April, it run five times daily, between 10:00am and 4:00pm. The tour is available in eight languages: French, Italian, German, Spanish, Portuguese, Mandarin, Korean, and English. No matter how many times you’ve seen the Manhattan skyline, it never ceases to be an amazing sight. Hornblower party cruises combine a laidback party atmosphere with the same stunning skyline you encounter on a sightseeing cruise. For example, the Alive After Five cruise is a two-hour exploration of the city, accompanied by a live DJ and highlighted by many of the best sights in the city. When you’re not soaking in the sights, you can take advantage of Hornblower’s food and drink packages. You can unlock bottomless beer, wine, soda, a premium bar, and even a buffet station. All ages are welcome, but minors require the supervision of an adult. Alive After Five departs Thursday through Sunday, with boarding beginning at 5:30pm. New York is the city that never sleeps. No matter how impressive its skyline can be, it’s never more beautiful than at night. Hornblower dining cruises take you on a lengthy 3-hour tour of the city, providing you with ample time to enjoy the city lights. And fans of the theater will enjoy the Broadway cruise, a decadent four-course dinner that’s accompanied by live entertainers performing show tunes. Keep in mind these cruises are seasonal, with a limited number of shows and space each month. You’ll need to check the Hornblower website for more detailed scheduling. In New York, Hornblower Cruises hours of operation are weekdays, from 9:00am to 5:00pm. Some cruises have assigned seats, while others use cruise-style seating. If you’re traveling in a group and want to sit together, be sure to book your tickets together. Hornblower cruise tickets are non-refundable, but your cruise can often be postponed with 48-hours of notice. Hornblower has handicap accessible vessels, but you’ll want to call to ensure accessibility of the vessel scheduled for the date you plan on cruising. Hornblower also hosts a number of special holiday cruises. From a Father’s Day beer cruise to an Independence Day fireworks celebration, holiday cruises are some of Hornblower’s most popular events. If you plan on attending a holiday cruise, you’ll want to reserve at least two weeks in advance. What do Hornblower Cruises prices look like? Tickets for the See NYC Sightseeing Cruise are $30. Alive After Five is $35, and dining cruises range from $50 to $150. Children under the age of four don’t need a ticket. 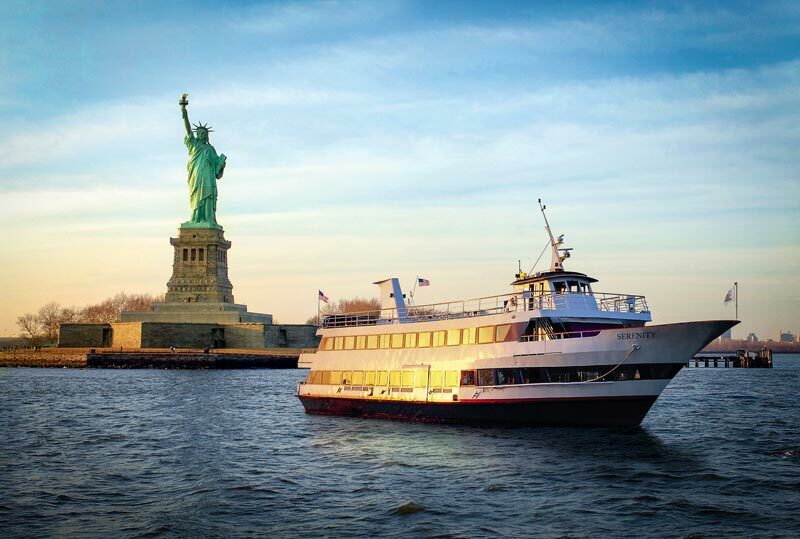 The best way to enjoy a Hornblower See NYC Sightseeing Cruise or an Alive After Five cruise PLUS save on admissions for some of New York’s other top attractions is with New York C3 by CityPASS, which can save you up to 25% over the cost of separate admission at each attraction. With how much there is to see in New York, you may want to turn those savings towards upgrading your cruise refreshments. The Hungry Sailor upgrade adds snacks to the Alive After Five cruise for $18.58. The Fully Overboard upgrade adds a buffet table and premium open bar for $74.33. And if you’re only looking for a quick bite to eat, concessions are sold on board. The U.S. Coast Guard requires adult passengers to have valid photo ID, so be sure to bring one with you. If you experience motion sickness, consider bringing an antihistamine to prevent seasickness. Bring some cash as well, which can be useful for buying concessions and for tipping the excellent wait staff. If you need to stay in contact with the world, don’t hesitate to bring along your phone. Hornblower Cruises are close enough to the shore that cell coverage is available, and most vessels offer free public Wi-Fi. But don’t bring along cigarettes, as smoking isn’t allowed on harbor tours. Hornblower suggests dressing business-casual for a dinner cruise and smart-casual for a brunch cruise. Casual attire is appropriate for all other Hornblower cruises. No matter what type of cruise you’re on, remember to dress for the weather. Rain or shine, your cruise will set sail. Even if the weather forecast predicts a clear and sunny day, consider bringing a windbreaker or light jacket. Even within New York Harbor, it can be windy out on the water. With New York C3, you can enjoy a Hornblower cruise and see New York’s best attractions up close and personal. But remember to plan your trip carefully, so you have enough time to see everything the city has to offer. Vessels depart from Pier 15 at South Street Seaport in lower Manhattan. Boarding begins 30 minutes before your cruise departs. You’ll want to show up about half an hour before departure. But don’t show up much more than 30 minutes early because early boarding is not permitted.